When Disney fired James Gunn from Guardians of the Galaxy Vol. 3 last summer, Dave Bautista was indisputably his most vocal defender. He even threatened to quit the cosmic franchise’s third installment if Gunn’s script wasn’t used. Bautista also expressed an eagerness to join Gunn’s upcoming The Suicide Squad sequel/reboot. Now that Gunn has been reinstated as writer and director, Bautista is chiming in with new thoughts on the situation. While speaking with Variety, Bautista used the chance to reflect on his support for Gunn over the last several months. He took specific aim at what he viewed as “the empowering of some really horrible people,” namely the far-right personalities who unearthed the infamous tweets that prompted Disney to remove Gunn from Guardians 3. 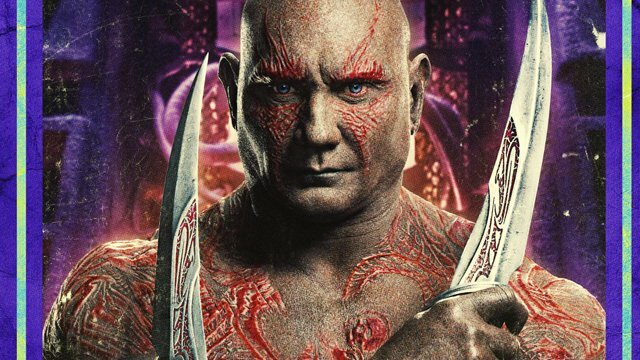 As for whether he was serious about leaving the movie, Bautista again stressed that he had a “big issue” with playing Drax the Destroyer without Gunn directing him. However, he still believes that Marvel would have respected his wishes, regardless of legal red tape getting in the way. “I am contractually obligated [to do the third movie], but I think that Marvel and Disney –– if I had really stood my ground and said, ‘I don’t want to do this without James’ –– I think that they are decent enough that they would’ve let me out of my contract,” said Bautista. But with Gunn back at the helm, the team can finish telling telling the story they began with the first installment in 2014. Guardians of the Galaxy Vol. 3 will get underway as soon as Gunn wraps production on The Suicide Squad. Tell us what you think about Bautista’s remarks in the comment section below!